Another way to reach the Tijuana River Estuary and Border Field State Park is by taking the Palm Avenue off ramp from Interstate 5. 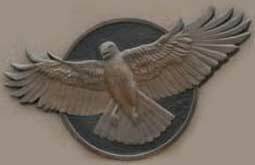 Imperial Beach is a quaint community enveloping the busy four lanes of mile long Palm Avenue. A quick left on Saturn Boulevard will take you near the estuary and park. Right now, you will be safe because this is how one gets to the United States Border Patrol Imperial Beach Facility. Yes, as many as 500 well armed U.S. Border Patrol Agents are now between you and the estuary and park. This Palm Avenue off ramp is about 30 minutes south of San Diego. As you approach the off ramp you will see hills to the south with myriad radio and TV transmitter antennae. You will also see one of the largest flags flying anywhere on earth. It is a Mexican flag. All of what you see in the distance is in Tijuana, Mexico. By taking that off ramp you are now, notionally, in Imperial Beach, California. Of course, the United States Border Patrol can’t be everywhere. 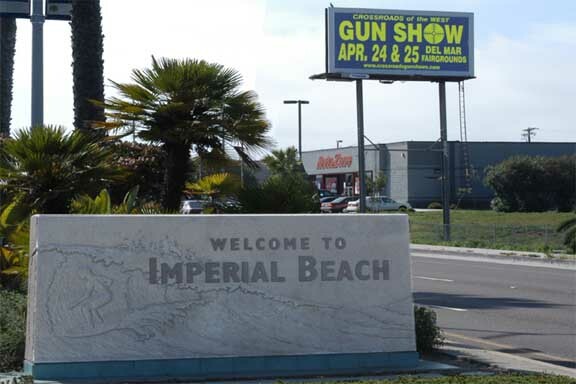 To keep the crime statistics down, much of Imperial Beach is not actually called Imperial Beach for the summing of murders, rapes, and assaults. For example: When you entered Imperial Beach you entered at the Palm Avenue off ramp and stopped at the Saturn Boulevard traffic light, just a stone’s throw from the “Welcome to Imperial Beach” monument. This is not Imperial Beach. It might say it is Imperial Beach but it is not, technically. It’s really Egger Highlands.